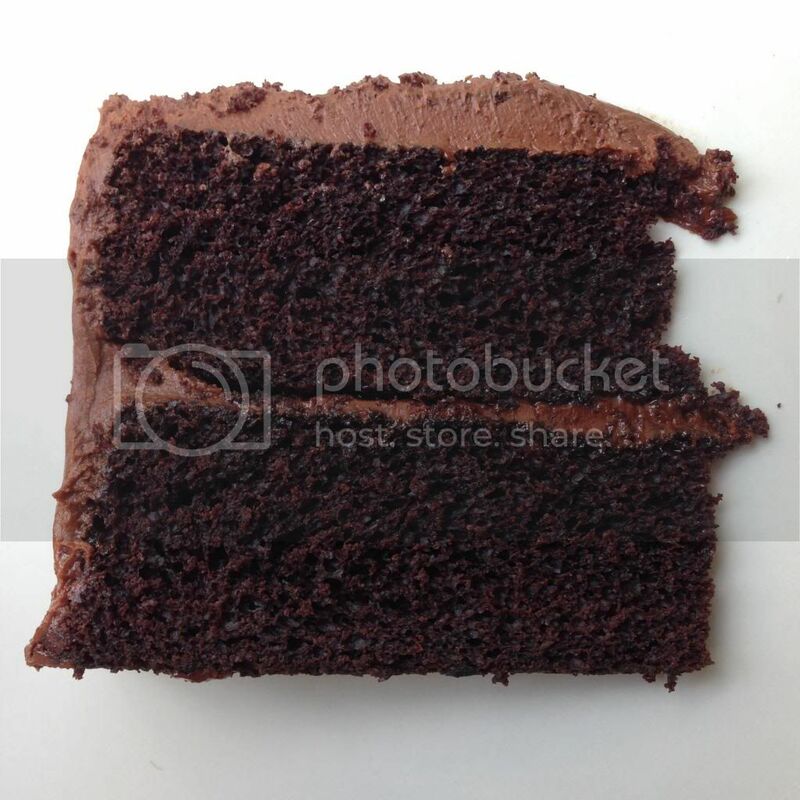 What's better than chocolate cake? Chocolate cake with coffee in it. What's better than chocolate cake with coffee in it? Chocolate cake with an entire colada baked into it. This cake should fix your sweet craving and your caffeine fix all in one bite. - 1 Cup unsalted butter, room temperature - NO SUBSTITUTES! - 1 Tablespoon of Cuban espresso coffee. Preheat oven to 350 degrees F and place oven rack in the center of the oven. 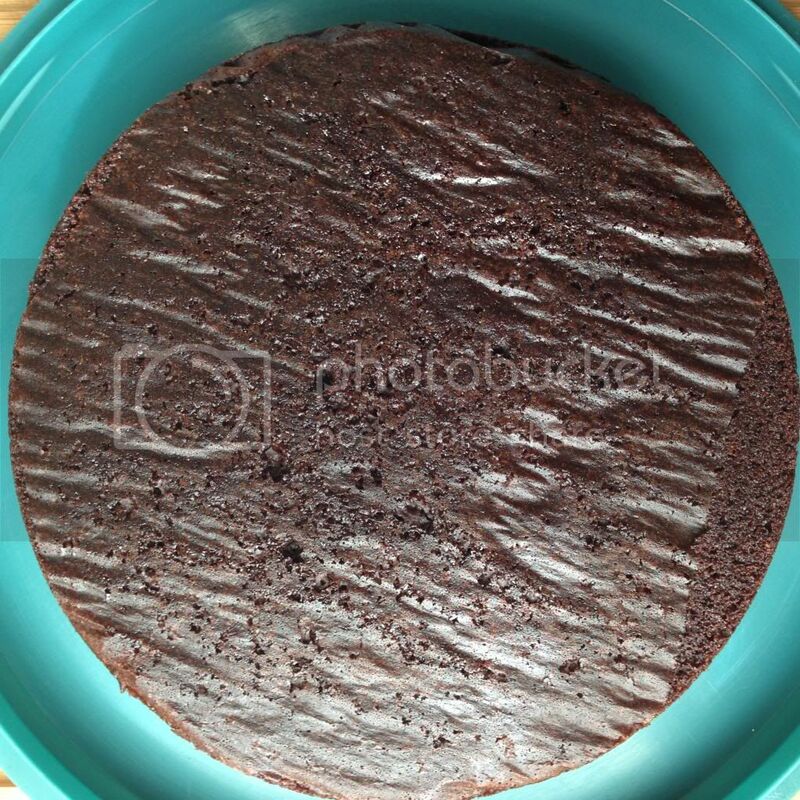 Butter, or spray with a non stick vegetable spray, two - 9 inch cake pans. Line the bottoms of the pans with parchment paper and set the pans aside. Dust off your abuela's cafetera and make yourself some Cuban coffee. Once you have brewed 1 cup worth of Cuban coffee, pour into a cup and set aside. In a large bowl whisk together the sugar, flour, cocoa powder, baking powder, baking soda, and salt. In another bowl, whisk together the eggs, 3/4th cup of coffee, water, milk, oil, and vanilla paste. Once combined, mix in the dry ingredients slowly. Divide the batter between the two pans as evenly as possible and bake for 28 minutes or until both pans pass the toothpick test. Once cooked, remove from the oven and allow the cakes to rest for about 10 minutes. Then, remove the cakes from their pans and place them face down on parchment paper lined wire rack to cool completely. 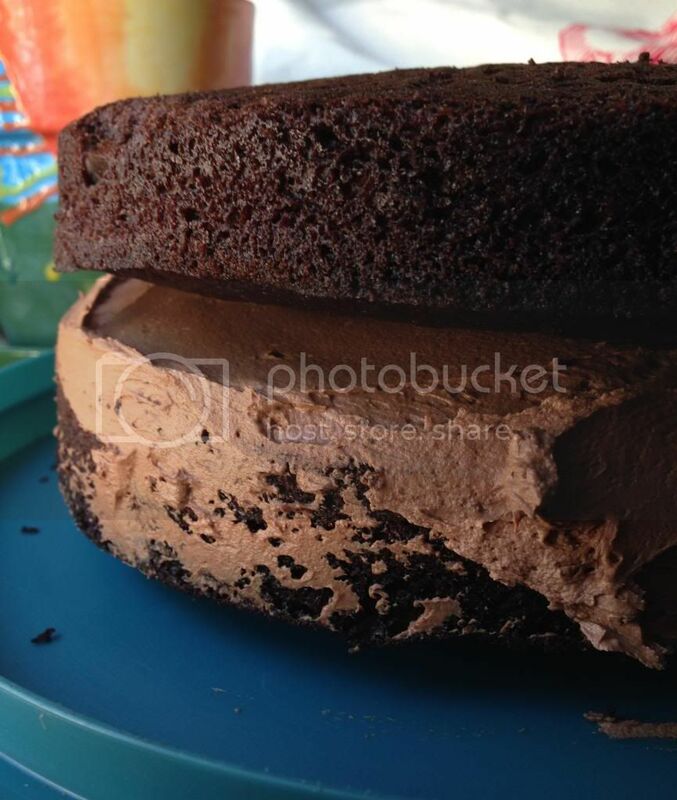 Cakes must be completely cooled before frosting, otherwise your frosting will melt and you'll have a hell of a mess. Now that your cakes are cooling, it's time to make your frosting. Temper your chocolate over medium heat. When the chocolate is completely melted, remove from heat and set aside. I know the chocolate is all shiny, melted and calling your name, tempting you to bust out the ice cream and eat it as is, but you can't do this. Ok ok, maybe just a spoonful, BUT THAT'S IT! In a medium sized bowl using your hand mixer, beat the butter until smooth and creamy. Then, add the sugar and beat until it is light and fluffy. Mix in the vanilla paste and espresso. Slowly add the melted chocolate and beat on low speed until incorporated. 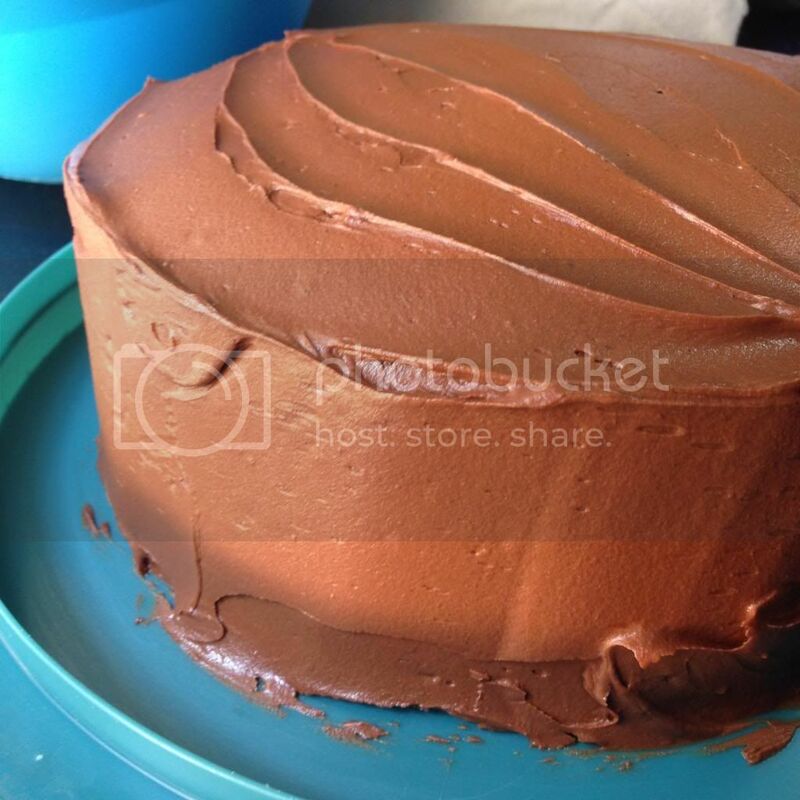 Once mixed completely, crank up the speed on the mixer til the frosting is smooth. Feel free to make yourself a cafe con leche with any left over coffee, you've worked hard and you deserve it. Now that your cakes have completely cooled off and your frosting is done, it's time to assemble your cake. Place one cake layer bottom side facing up on your serving plate and slowly peel away the parchment paper, this way the less even part of the cake is on the bottom and it's easier to spread the icing. 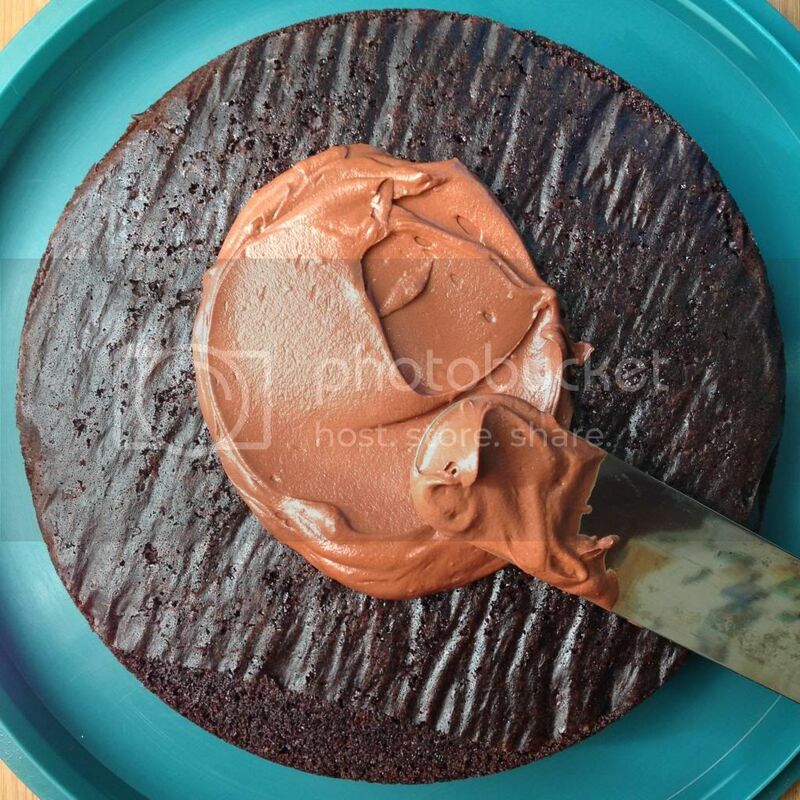 Scoop about 1/2 cup of frosting and place in the center of the cake, spreading it out as evenly as possible. Gently, place the second layer of cake bottom side facing up on top of the icing. 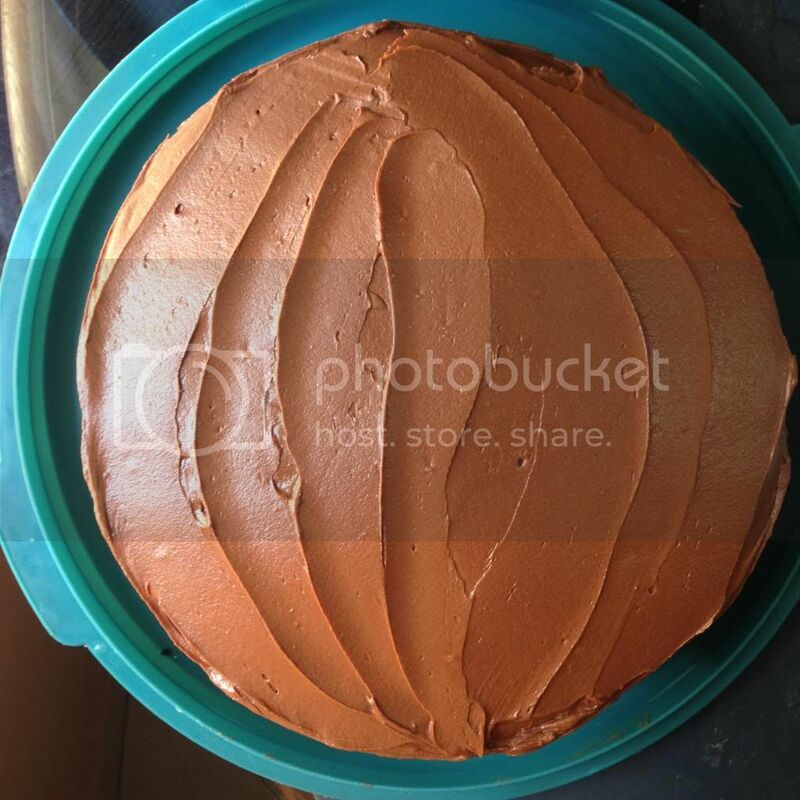 Spread the remainder of the icing on top of the cake and spread out as evenly as possible.